Fir Park has an impressive range of suites throughout the stadium, all of which would make the perfect setting for a wedding breakfast or wedding reception. 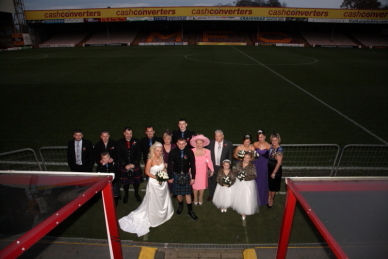 Fir Park is also a licensed venue for civil ceremonies and has a variety of licensed suites which can cater for 30 to 200 guests. Ceremonies can be held seven days a week.